Drone is an aerial vehicle that is in the form of quadcopters. A quadcopter has four propellers that help it to maintain stability in the air. They are very maneuverable and there are four motors for the propellers. These drones are for civilian use and can be used for many purposes. Moreover, the drones have gyroscope to measure their position and allows them to alter the speed of propellers automatically for hovering and maintaining stable flight. Beginner drones are very affordable for the newbies. They have shorter ranges and flight times. Moreover, their spare parts are easily available at a lower price. They are very durable and designed to endure minor crashes. This type of drone is also affordable but it has some advanced features for experienced users. They have longer flight times, ranges and high-quality camera compared to beginner drones. Professional Drones have many advanced features and a high-quality camera for shooting and photos and that is why they are very expensive. Moreover, they have a built-in GPS tracking system that help finds them easily when lost. Racing drones are basically made for racing and they have higher speeds from 70 MPH to 100 MPH in a dive. Moreover, they have the first-person camera to let you have the experience that you are inside of it. The very important feature to look for is the flight time of a drone. If a drone has low flight time then it will be a problem for you and you will not be able to enjoy the flight. Different models of drone have different flight times ranging from 5 to 30 minutes. Moreover, longer flight times mean more expensive. A drone which has high flight time use expensive batteries. Most of the beginner drones last only 10 minutes. So, you need to keep this in mind before buying a drone. You can go for a drone with extra batteries and imagine with these extra batteries you can enjoy and shoot a video for longer. You can check cheap Drones for longer flight time at a lower cost. Moreover, you can have more batteries so if the batteries run low, you can change them with fully charged extra batteries. Also, the batteries take hours to charge so you also need to keep this thing in your mind. So, the main factor before buying a drone is its flight time and how much expensive the batteries are. The range is very important as it depends on the use of your drone. The range of a beginner drone is from 55 to 110 yards. But the most advanced drones ranges are up to 3 miles. If you want to use your drone for footage and racing purpose then you need to buy a drone with a long range. A drone with a medium range can be perfect for a budget buyer as it can walk and follow the drone as it goes further. Well, the headless mode is a very great feature for a beginner. For example, you fly a drone and after some time, you move its head 180 degrees. If you move the stick to the right, the drone will move in the left direction. It can cause a problem for the people who are the beginner. The head and tail for a drone look like the same, so you will not be able to guess the head of the drone. When the headless mode is on, no matter which is the direction, the drone will follow the direction of the sticks. If you move the stick to left, it will move in the left direction. It is basically a feature that allows the drone to get back to you by pressing a button on the remote. 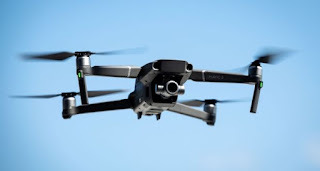 If your drone does not have GPS, then use headless mode or otherwise it will get the opposite direction of its head instead of getting back to you.